Here comes the bride... And, it's time to celebrate her. 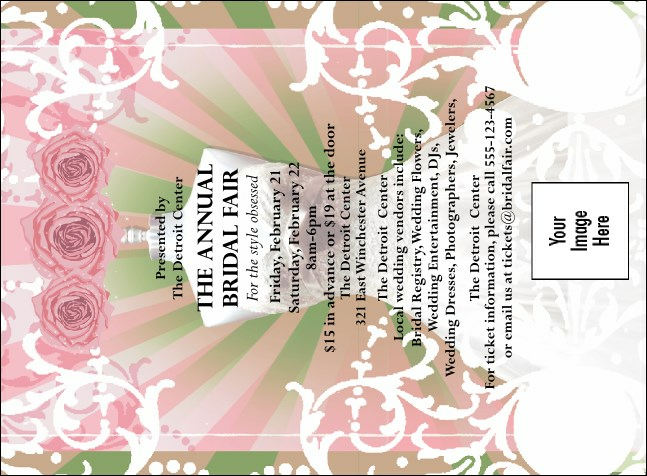 Make sure she knows about your big event with the Bridal Fair Invitation. With plenty of room for your custom details, this invitation template features a happy couple, freshly married and holding hands. Each is printed in chocolate brown and white. TicketPrinting.com and your event are a match made in heaven.